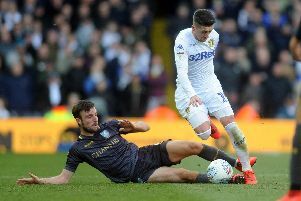 Sheffield Wednesday poll: Who is your player of the season so far? Sheffield Wednesday have got off to a fine start in the Championship so far and currently sit in sixth place, just inside the play-offs. With a week off domestic football thanks to the international break, it’s time to reflect on the first chunk of the season. So, who is your Owls player of 2018/19 so far? Sheffield Wednesday celebrate after scoring.